The Bishop of Norwich has waded into the debate over plans to sacrifice 25 square miles of Norfolk land to the sea. Speaking at the launch of a new inshore lifeboat for Sea Palling, he said the proposal by Natural England could leave coastal communities feeling “like prisons from which there is no escape”. Addressing a packed church in Sea Palling today, where he had come to bless the village’s new lifeboat, the Rt Rev Graham James said vibrant communities with spirit, such as the coastal village, were crucial and should not be made to feel unimportant. But the Bishop would not be drawn on whether he himself would be making representations to Natural England, who drew up the plans which have cause such controversy, saying only that it was important community leaders represent local views. The comments come ahead of a Commons debate on the flooding plans, when local MPs will be given their first chance to grill the government over the issue, and just days after Stuart Burgess, the government’s rural advocate, warned of the danger of the A12 flooding if sea defences on the Blyth Estuary are abandoned. During the sermon the Bishop said he was delighted to be giving his blessing to the new lifeboat, named Lion’s Roar after one of the major donors to the £25,000 craft, Hoveton and Wroxham Lions club. But he told the congregation: “You’ve been in the news, and not for any welcome reason. The problem with any long term plan to allow villages around here to be claimed by the sea is that it has given the impression that people don’t matter. After the service the bishop joined lifeboat crewman aboard the boat as it was driven from the church to the beach where it was launched to great applause. Prominent coastal campaigner Malcolm Kerby, from the Happisburgh-based Coastal Concern Action Group, said he was “delighted” with the bishop’s words. “I really appreciate the bishop stepping into the ring,” he said. “He is a very high powered and influential man and clearly he has chosen his words carefully but he is absolutely right. 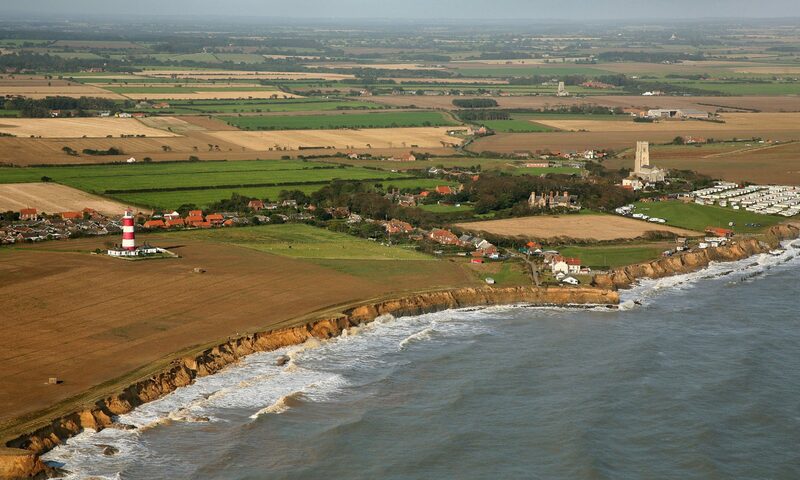 Since the EDP revealed the Natural England proposals in March thousands of people have attended three public meetings held on the issue, expressed their anger through letters and signed a petition drawn up by north Norfolk MP Norman Lamb. The 90 minute debate parliamentary debate, which begins at 9.30am on Tuesday morning, will be on flood defences in Norfolk and will cover coastal and inland flooding across the county.